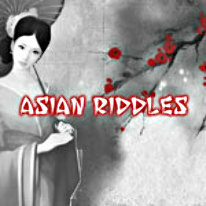 Solve the mysteries of Asian lands! Solve the riddles of the far away lands and Asian generosity will know no bounds! Discover the fun and exciting world of nonograms, also known as Japanese crosswords! With over four hours of gameplay exploring stunning Asian locals and more than 108 unique, challenging levels set in nine beautiful locations, Asian Riddles is certain to keep you engaged and charmed!